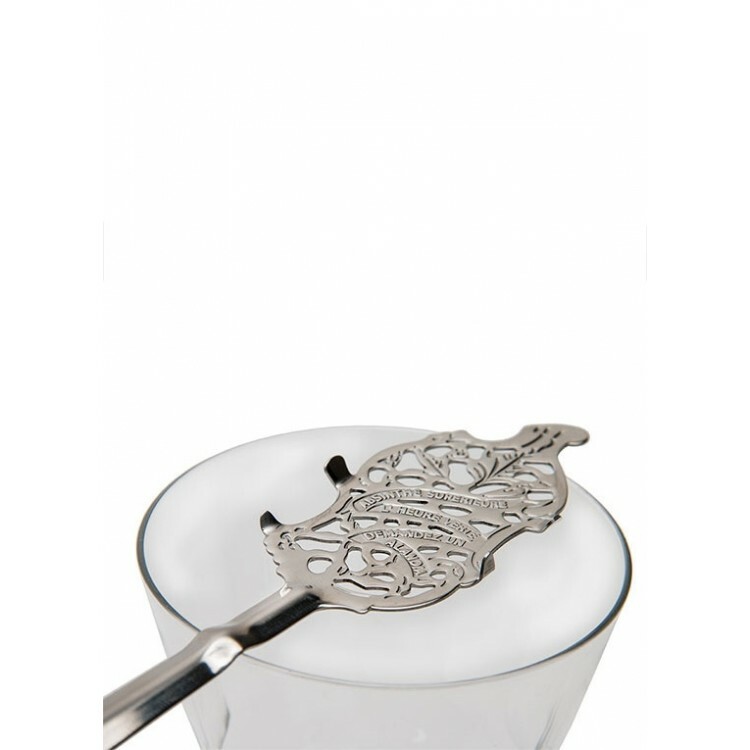 This Absinthe accessory set includes four handmade Pontarlier Absinthe glasses. They are mouth-blown (not pressed) and therefore do not have a manufacturing seam. 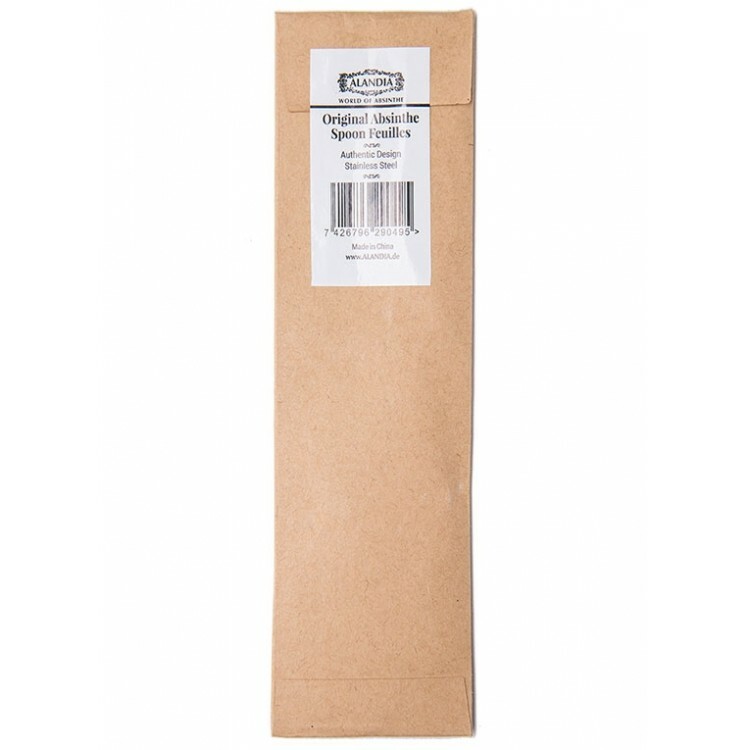 The included stainless steel spoons are beautifully decorated with wormwood leaves. This is the right set if you are looking for best quality accessories which reflect the charme of nostalgia. 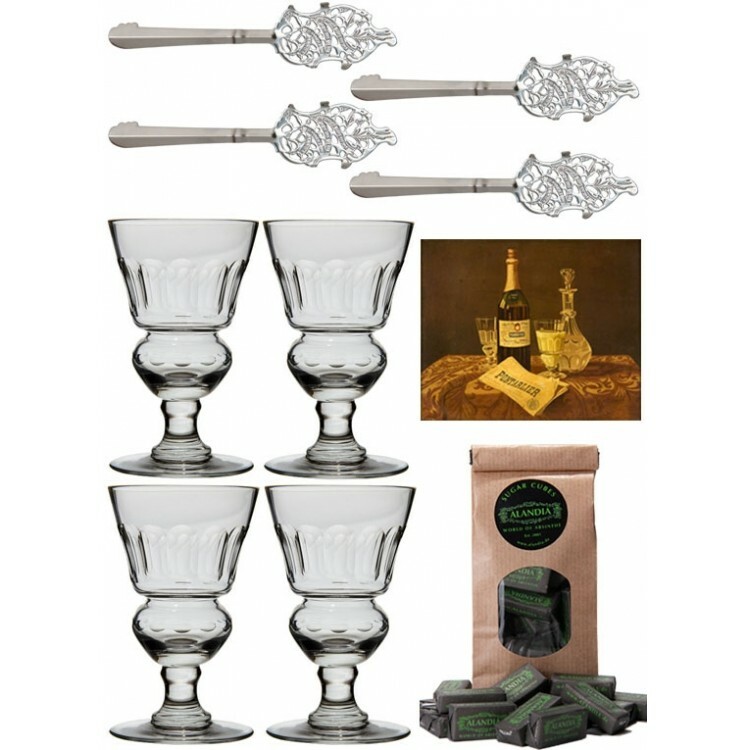 This high-quality Absinthe accessories set includes four mouth-blown Pontarlier Absinthe glasses. This means, the glasses are not pressed, and therefore do not have a manufacturing seam. Furthermore these Absinthe glasses have a reservoir in the stem to measure the correct amount of Absinthe. The cut design is simply fascinating and perfectly reflects the allure of the Belle Epoque. 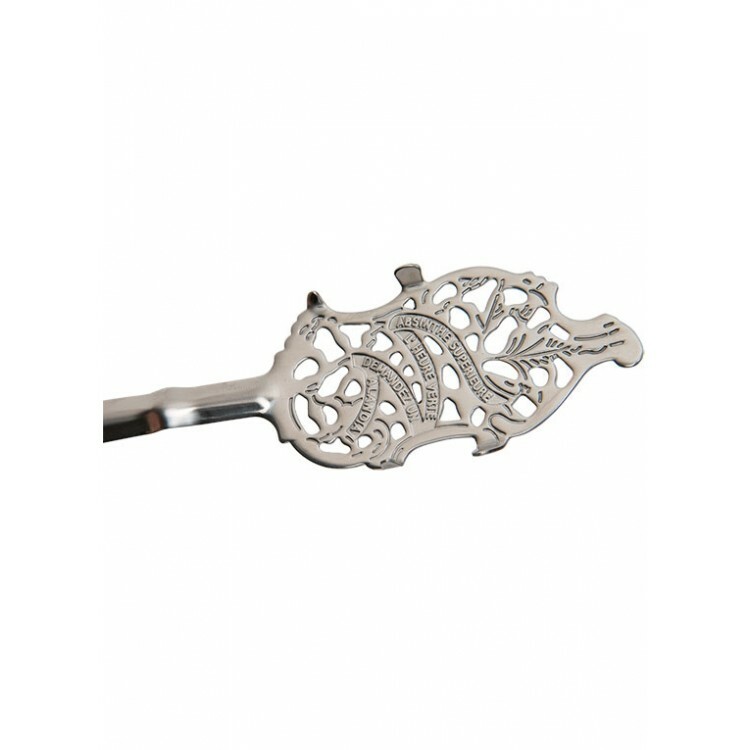 The set comes as well with four stainless steel "Feuilles" Absinthe spoons. They are like the glasses authentic reproductions of a famous historical Absinthe spoon. In the front the spoons are beautifully decorated with wormwood leaves (feuilles = leaves in French). 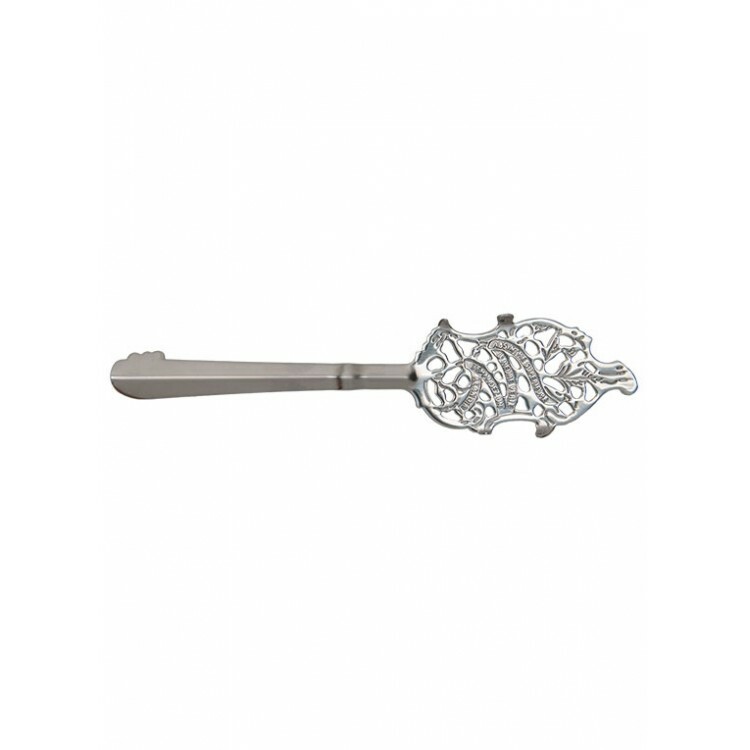 As mentioned before, the Absinthe spoons are made of durable stainless steel and are polished for a supreme finish. 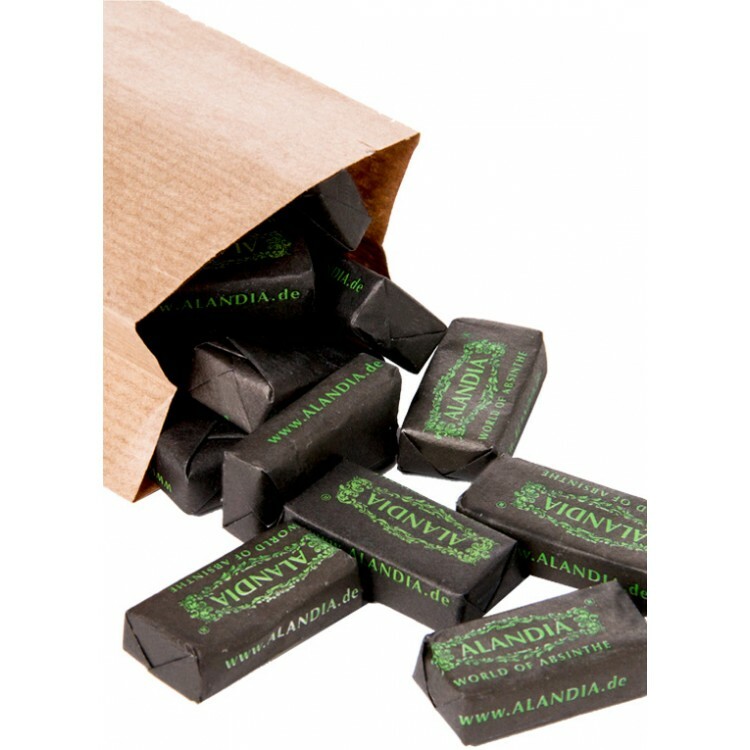 We can highly recommend them to any Absintheur as they combine authenticity with a perfect quality. 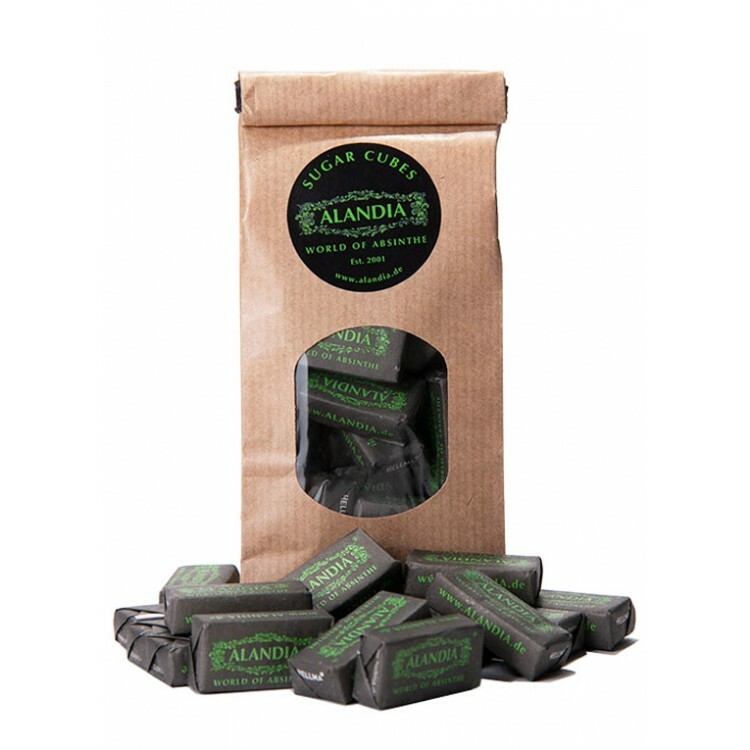 One bag of individually wrapped Absinthe sugar cubes is as well included in the set. Each set comes as well with a info card explaining the traditional French Absinthe ritual. Overall "The Best" Absinthe glasses and spoons set is a definite winner. 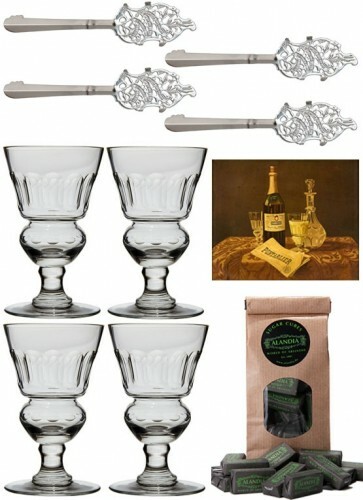 If you are looking for premiumness with the charme of nostalgia, this Absinthe accessory set is the right one for you. 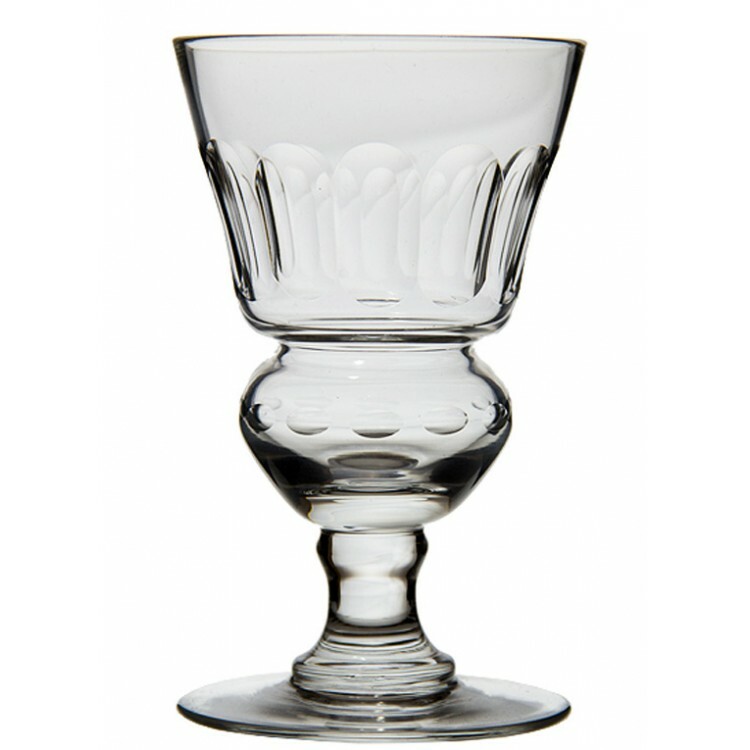 Pontarlier glasses are named after the French town Pontarlier. Pontarlier was the Absinthe hub in the 19th century, many distilleries were located in this small town close to the Swiss border. 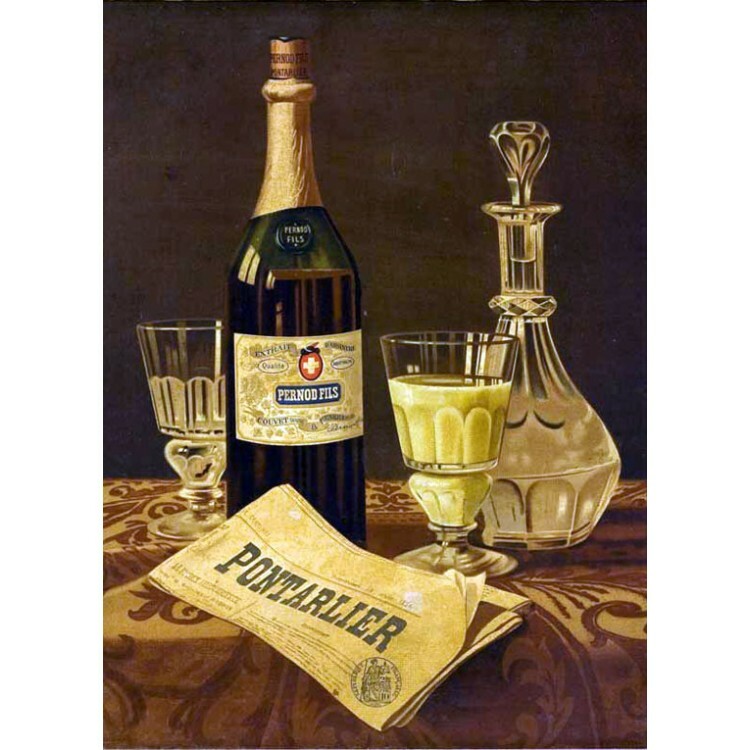 The biggest player, Pernod Absinthe, had as well a large factory in Pontarlier. Originally the glasses got their name after they appeared in an advertisement for Pernod Fils Absinthe. The original motive was painted by the artist Charles Maire, Pernod mass-produced these artworks and soon they decorated almost every French bistro. If you are lucky, you can still find a copy at a flea market in France.